In support of the sharing and spreading of innovative culture and know-how, Czech Innovation is hosting another of its informal networking events. This upcoming event is entitled “Evenings of ČIN”. This is already the fourth evening addressing the topic of “to patent and to protect” and will focus on the problems of IP protection. Would you like to know what could happen if you don’t undertake patent research or you don’t patent your ideas? Are you interested in how you can protect an idea that cannot be patented or use the patent as the source of your idea? 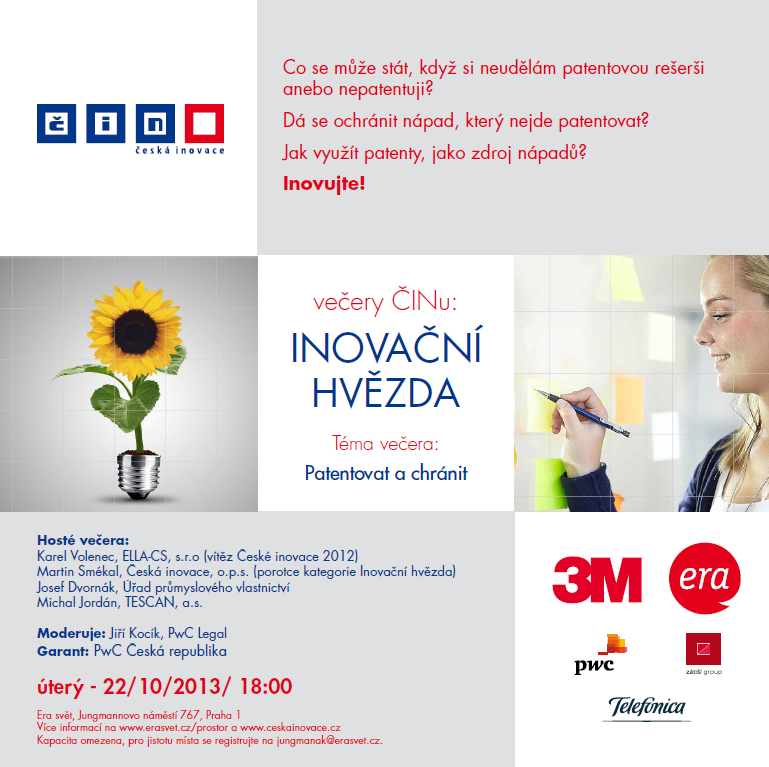 Come and listen to an interesting discussion on 22 October 2013 in ERA world in Jungmannovo náměstí in Prague. The capacity is limited, so reserve your place to assure your attendance and register at jungmanak@erasvet.cz.